Coupon clippers have a new tool at their disposal: the computer. Welcome to the era of point, click and save. With food and gas prices fluctuating, it’s no surprise that food-industry watchers are predicting that coupon use will increase. And consumers are downloading a growing number of those coupons from the Internet. Consumers paid almost 8 percent more for food and almost 32 percent more for gas in September than they did a year ago, according to the Bureau of Labor Statistics. With the Web, coupon hunters can take charge of the search and seek out coupons for products they want, rather than having to make do with what appears in the paper every week. “Personally, I buy a lot of organic food,” says Lisa Lee Freeman, editor in chief of ShopSmart magazine. Her strategy: Go to favorite product manufacturers and download their coupons. She also hits Web sites for the stores themselves. “It really makes sense for families to go look at all these sources,” Freeman says. Jamie Howard, a coupon clipper who lives in Georgia’s Lake Oconee area, estimates that she saves about 30 percent per week with coupons, many of which she finds online. “They make it very easy,” says Howard. Some of her favorite sites are Coupons.com, CoolSavings.com and SmartSource.com. Steven Boal, founder and CEO of Coupons.com, estimates that consumers can shave $150 to $200 a month with online coupons. “That’s a really important amount of money,” he says. But some stores refuse to take online coupons or cap the number that customers can use, while manufacturers often limit the number of coupons you can print for a certain item (often two). “Once you’ve maxed out, that’s it,” Boal says. For their part, consumers usually must download and install special software from the sites to print the coupons. Many clippers and industry watchers agree that online coupons are still just a tiny slice of the coupon-clipping game. 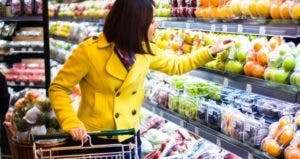 Last year, online coupons made up only 0.4 percent of all the coupons distributed for packaged goods, according to Charles Brown, vice president of marketing for NCH Marketing Services in Deerfield, Ill., and co-chair of the Promotion Marketing Association’s Coupon Council, an New York-based industry group. But that was an 80 percent increase over the previous year, he says. In addition, consumers were more than eight times more likely to actually use the coupons they got online compared with those they cut from the weekly paper, says Brown. While Sunday supplement redemption rate last year was 0.6 percent, the redemption rate for downloaded coupons was 4.9 percent. Stephanie Nelson runs CouponMom.com, a site that offers links to coupons, tips on how to use them and information on local shopping specials. She estimates that 80 percent of clippers are getting their coupons the old-fashioned way — from the Sunday paper. “Still, there are a small percentage of people who are going online for coupons,” she says. As for Howard, she estimates that she gets about 40 percent of her coupons online. To be sure, for the die-hard clippers, scissors, not printers, are still the way to go, says Gary Foreman, publisher and editor of The Dollar Stretcher Web site. “Most of the people we see that are serious coupon folks are still doing it the way they were 10 years ago,” he says. Online coupons have their downside. First, there aren’t as many sources as you might think. Troll through a Web search and you’ll find dozens of sites that promise coupons. But look more closely and you’ll discover that many of those sites are offering exactly the same selection of coupons. One reason: Other than manufacturers’ sites, which offer their own coupons, there are really only a handful of sources behind the printable grocery coupons, “and they power all the other sites,” Nelson says. Two big players are SmartSource.com and Coupons.com. Second, with online “clipping,” you’re frequently limited in the number of coupons you can take for one item, both by manufacturers and coupon sites. With coupon sites, once you’ve reached the set limit for a specific coupon on any combination of the affiliated sites, the software won’t let you print any more. Then, there’s the acceptance factor. When online coupons first appeared on the scene, some wary clerks scrutinized the home-printed squares as if they were still-wet hundred-dollar bills. As a result, some clippers stopped using them. Howard had all but given up on online coupons until earlier this year. “It got to the point where stores wouldn’t honor them,” she says. While the coupon industry has tried to educate retailers, store policies on online coupons can vary, even within the same chain, coupon council co-chair Brown says. “It’s really up to the store manager,” he says. But Boal, of Coupons.com, believes that the suspicion surrounding online coupons is a thing of the past. “It’s really few and far between, at this point,” he says. Many times, if a store still refuses online coupons, it may be one clerk or manager who still doesn’t trust them. If you have a problem, contact the store manager. If that doesn’t work and it’s a retail chain, call or e-mail the company headquarters. You can also print out the retailer’s own coupon policy, which can be found on the Web site, or e-mail customer service and they’ll e-mail it to you. Then you have something to show the store manager. If the problem is with a particular clerk and not store policy, you can always check out through another line or use the self-check-out lane, if your store has one. Or you can take your business to a more coupon-friendly store. In the last few years, the times have changed, technology has improved, and many stores have become more sanguine about accepting online coupons. Part of the reason is that many retailers have ventured into the online coupon arena themselves, Boal says. Currently, many coupons have individual serial numbers. Just like dollar bills, each one is different. So, if store clerks see five coupons with identical serial numbers, they know someone has been hitting the copy machine. Depending on the coupon source and the information the consumer provided while registering at the site, some companies also put individual tracking numbers on the coupons that trace back to the clipper. Coupon issuers believe the tracking is necessary not only to keep users honest but also for marketing purposes. But some coupon users and privacy experts aren’t exactly thrilled with the idea. If privacy is a concern, there are a couple of things you can do. Check to see if the site is a member of any well-known “seal” programs, like TRUSTe or BBBOnLine (the Better Business Bureau). Their emblem on a Web site signifies that a site has met recognized industry privacy requirements. “That provides some reassurance to individuals who are privacy conscious,” says Beth Givens, founder and director of the San Diego-based Privacy Rights Clearinghouse. Be cautious about giving away too much personal information, she says. If you register and all you want to receive are e-mail coupons or offers, “your e-mail address is all that’s needed,” she says. Also keep in mind that the site’s privacy policies can change, and the operators don’t have to notify you. So check back from time to time and reread that policy, she advises. “It may look good today, but it may not be so good tomorrow,” Givens says. Another annoyance to users is the special software required to print the coupons. After it’s downloaded, the program resides on your computer. Some sites specifically state that they don’t collect any personally identifiable information or install any spyware, but others don’t. Even so, some issuers say consumers shouldn’t have any privacy worries. At Coupons.com and its affiliated sites, each user’s computer is issued a randomly assigned serial number. “That way, our network knows not to print the coupon again,” Boal says. The software doesn’t collect any personally identifiable information or track the user’s surfing habits, he says. The only information retailers or manufacturers receive is whatever data consumers choose to share if they register. In addition, coupons won’t bear individual tracking numbers unless consumers actually register with a site. Indeed, the coupon council’s Brown says consumer tracking can have an upside. “It’s good to let them know who you are so that they can give you more offers,” he says. 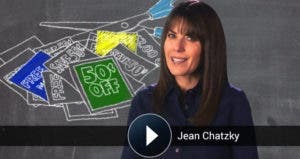 These days, many shoppers are balancing the notion that their savings through loyalty cards, which give consumers special markdowns from retailers, and other discount programs come with a price.They must share shopping information with retailers and manufacturers. “People have to reconcile the fact that they watch your shopping habits, and where that might lead,” Howard says. Overall, she is satisfied with the bargain. Howard recently subscribed online to a drugstore loyalty program. In addition to coupons, a recent $70 shopping trip netted her $21 off of her next trip and a free eight-pack of antacid.